An 18th-century draft of the No Child Left Behind Act would have pushed students way beyond math and reading. It might have required extensive testing in the Seven Liberal Arts, inherited from the ancient Greeks, which ranked music with geometry and astronomy. It's hard to exaggerate the importance of music in pre-Enlightenment worldviews. People from ancient times to the Renaissance held faith that music expressed the secrets of the cosmos. Medieval encyclopedist Isodore of Seville wrote: "Nothing exists without music; for the universe itself is said to have been framed by a kind of harmony of sounds and the heaven itself revolves under the tones of that harmony." On earth, only musical instruments expressed those harmonies, and the greatest, mightiest of all was the pipe organ. 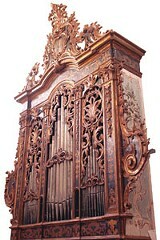 The mother of all pipe organs was the Italian Baroque Organ. How such an instrument was shipped to Rochester and rebuilt in the Memorial Art Gallery is a story about friendship, vision, and luck. It started in 1979 when German organ builder Gerald Woehl went on vacation to Italy. He wandered into an Italian antique shop and saw pieces of an organ on the floor. Nerves tingling, he inquired about it and discovered it was being dismantled and sold off in pieces. Its case, a 22-foot-tall, ornamented, carved, and gilded splendor, would make a lot of lovely coffee tables and sideboards. "The antique dealer didn't want to admit it was an organ," Woehl says in his native German. "The carvings were quite valuable." So he rescued it. He bought it, scooped up all the pieces, and took it back to his warehouse in Marburg, Germany, where it sat for a quarter-century. Meanwhile, Woehl was busy building huge, new organs all over Europe. 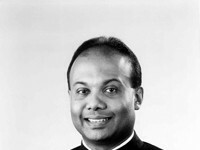 He installed the new Bach-Organ, a glorious instrument for the St. Thomas Church, J.S. Bach's church, in Leipzig. During a trip to Sweden, he met a diminutive, sandy-haired organist named Hans Davidssohn. The two became friends. 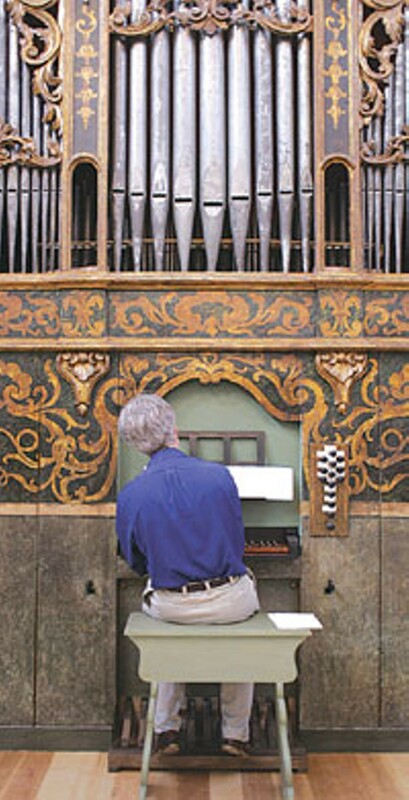 Woehl confided to Davidssohn that one of his dreams was to create a kind of artistic Disneyland for organists and organ lovers, a place where players and listeners could play and experience historic and new instruments that spanned all styles and innovations in pipe organ technology. The builder told the organist about the Italian Baroque organ in his warehouse. 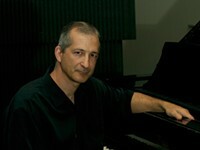 Davidssohn remembered it when, in 2001, he accepted a position teaching in the organ department at the Eastman School of Music. 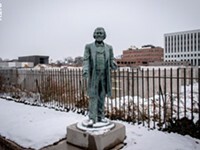 When he arrived in Rochester, others had already drawn up a plan similar to Woehl's vision to establish a collection of instruments in Rochester. They called the plan the Eastman Rochester Organ Initiative (or EROI, pronounced "ee-roy"). 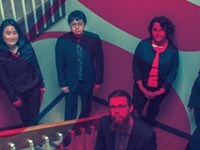 In the long run, they hope to establish Rochester as the national center for historical organ performance, research, and preservation. Installation of Woehl's Italian Baroque organ would be the first major accomplishment on EROI's long list of goals. Davidssohn called his friend. But Woehl didn't buy it. Rochester is a long way from Marburg, he said, and when Davidssohn suggested a museum --- The Memorial Art Gallery --- as a fitting home for the instrument, Woehl demurred, imagining a drab, low-slung 20th-century shoebox with white walls, low ceilings, and no grandeur. Certainly no place for an Italian Baroque organ. Then he came to visit. "It was a sunny, lovely Saturday morning," Davidssohn says, "and he entered the Fountain Court. I could hear him take a breath like 'whew' and look around. And then he smiled and then we knew: This was the space." Woehl agreed to sell the organ to the Eastman School of Music. He supervised its packing and shipment on a ship across the Atlantic, and he reassembled the organ when it arrived at the Memorial Art Gallery in July. The Eastman School says it now possesses the only full-sized Italian Baroque organ in North America. Guards roped off the gallery's Fountain Court while the instrument took shape against the far wall. 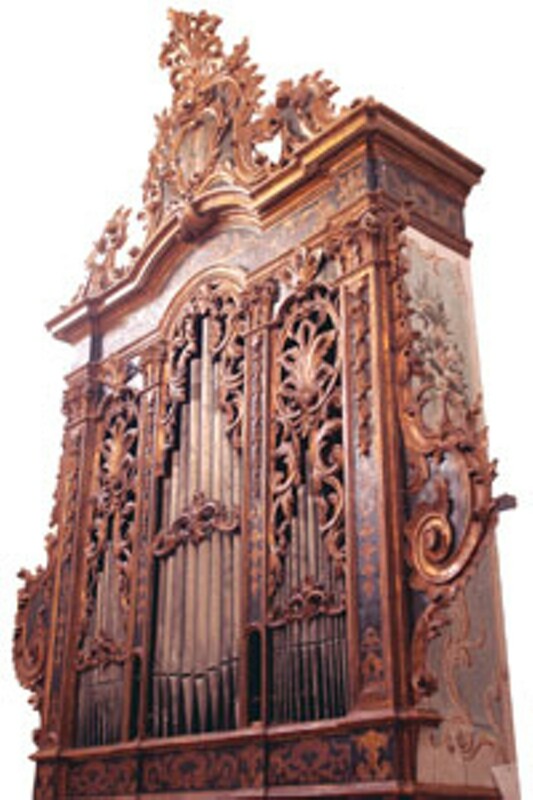 Crafted by an anonymous builder around 1770, a substantial part of it is from an older organ, Woehl says, dating from the late 17th or early 18th century. Most likely, it was made in Tuscany or in the Naples region. There are six hundred pipes. There are grooves in the keys from generations of organists' fingers rubbing against the hard wood. The tall case is topped with a painting of St. Andrew, who, in the Bible, informed Jesus that a couple of pathetic loaves and fishes weren't going to feed the crowd of thousands. "It's breathtaking," says Gallery Director Grant Holcomb, who was at one point worried about the effects of the organ's vibrations on the rest of the museum's collection. "It's almost like a site-specific sculpture." 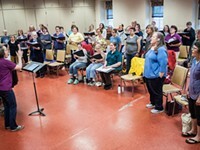 This week, Rochesterians have the chance to hear it in a series of workshops and recitals, starting Saturday, October 8, at 7 p.m. with a performance of Vespers of the Blessed Virgin, sacred music from 1610 by Claudio Monteverdi. The following weekend the Eastman School has planned a three-day event including lectures on Baroque art and performances by lutenist Paul O'Dette and Christ Church's Schola Cantorum directed by Stephen Kennedy. Listeners will also, of course, hear the Italian Baroque Organ. 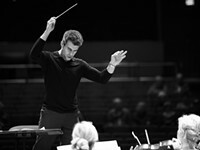 When pressed to describe its sound to non-musicians, organist Hans Davidsson leans forward. "It's the essence of beauty," he says. Its richness and complexity would have dazzled the 18th-century listener, for whom the created universe was itself in a state of a perpetual dance. Brenda Tremblay is a producer and announcer for WXXI. 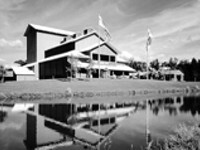 She hosts radio concerts by the RPO on Classical 91.5 FM.